Huge Savings Item! 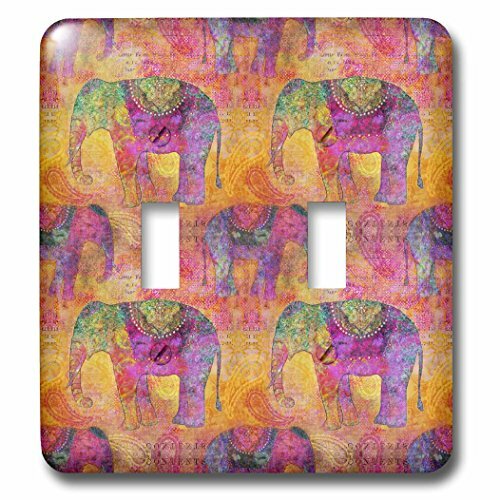 Save 13% on the 3dRose Andrea Haase Animals Illustration - Pattern of elephants India style in warm colors - Light Switch Covers - double toggle switch (lsp_266473_2) by 3dRose at Animal Backgrounds. MPN: lsp_266473_2. Hurry! Limited time offer. Offer valid only while supplies last. Pattern of elephants India style in warm colors Light Switch Cover is made of durable scratch resistant metal that will not fade, chip or peel. Pattern of elephants India style in warm colors Light Switch Cover is made of durable scratch resistant metal that will not fade, chip or peel. Featuring a high gloss finish, along with matching screws makes this cover the perfect finishing touch.